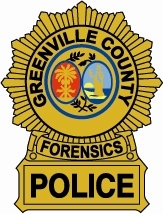 The Forensic Division is part of the Greenville County Department of Public Safety. The Department operates as an independent County Agency which consists of the Greenville County Detention Center, Forensic Division, and Records Management Division. The Forensic Division provides services on an equal basis to all law enforcement jurisdictions within Greenville County. The Forensic Division is responsible for the documentation, collection, and analysis of forensic evidence for law enforcement agencies in Greenville County. The Division also operates a secure property and evidence facility for the Greenville County Sheriff’s Office and Greenville Police Department. On a case-by-case basis, some services are offered to law enforcement agencies outside of Greenville County in areas such as fingerprint examination, drug analysis, DNA analysis and ballistic analysis. Short term evidence storage is afforded to these agencies prior to laboratory analysis. Greenville County DNA Lab Earns Re-Accreditation.